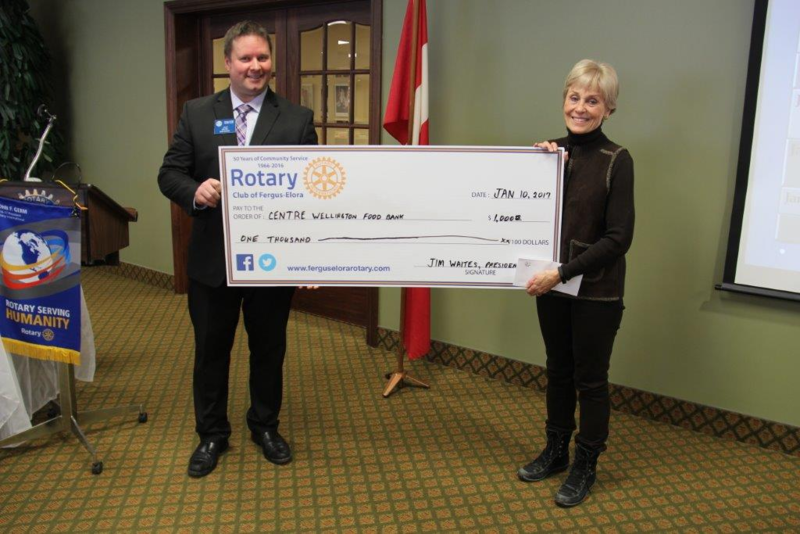 Jim Waites, Club President, presented $1,000 cheque to Centre Wellington Food Bank Chair, Jackie Andrews. The funds being provided are used by the food bank to partly cover the cost of renting space in Centre Wellington Sportsplex for their Christmas Hamper Program. A Township grant is no longer available for this rental.